Immigration, Refugees and Citizenship Canada recently released a snapshot regarding Express entry candidate profiles. The total size of the EE pool was 82,500. Out of these, more than 51,000 candidates scored between 400 and 301 in CRS. Do these candidates have a chance to immigrate to Canada? Yes, there are options for these candidates scoring below 400 to Immigrate to Canada. Addition of just a few points will not make much difference to their profiles. 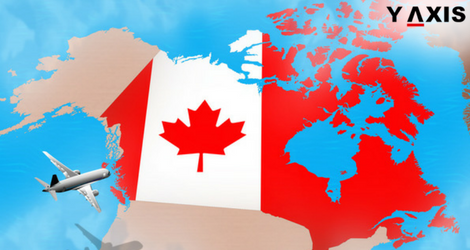 So what can they do to obtain the ITA for Canada permanent resident visa? A Job offer in Canada remains the single most efficient mode for quickly enhancing your CRS score in spite of the CRS points offered for it being reduced in November 2016. Obtaining a qualified offer of a Job remains the quickest pathway to transform a failing EE profile to a successful one, as quoted by the Immigration CA. A profile with 400 CRS points that obtains a qualified job offer will enhance its score by minimum 50 points to reach 450. The score will again vary depending on the job level and the maximum extra points that can be obtained are 200. This is adequate to receive ITA for Canada PR in 7 out of the 8 draws held in 2018. Another option for candidates with profile score of less than 400 is the Provincial Nominee Programs. PNPs are really emerging successful and Ottawa will enhance its PNP allocation by 33% between 2018 and 2020. Canada’s territories and provinces manage their own streams for immigration through the PNPs. Candidates intending to Immigrate to Canada and who are unable to cater to the requirements of federal economic category streams must explore chances in Ottawa PNPs. Enhanced PNP allocations will imply more chances of obtaining a prestigious nomination from the province. It will incur 600 extra CRS points and assure ITA for Canada PR.